Sultan of Swish: Jack Walker, at the ready, in Seattle Metropolitans’ stripes, circa 1917. If you want to talk hook-checks, as you well might, the man you need to know about is Jack Walker, born on this date in 1888, when it was a Tuesday, in Silver Mountain, Ontario, up on the Lakehead, not far from what was then Port Arthur — modern-day Thunder Bay. He died in 1950, aged 61. If he’s not now a household name, he was in his day, a century or so ago. Three times teams he skated for won the Stanley Cup: the Toronto Blueshirts in 1914, the Seattle Metropolitans in 1917, and the Victoria Cougars in 1925. 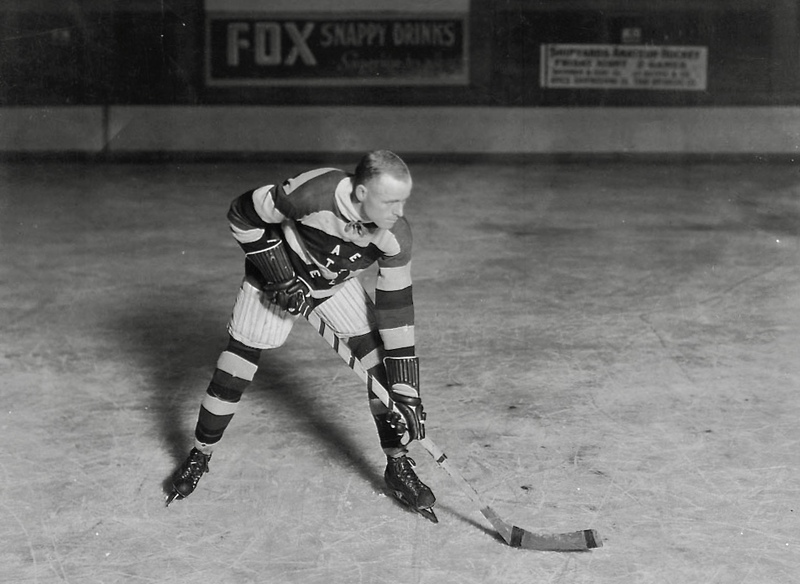 Mostly Walker played on the west coast, in the PCHA; his NHL career was a slender one, lasting 80 regular-season games over two seasons in the mid-1920s when he joined the Detroit Cougars. Walker did ascend to the Hockey Hall of Fame in 1960, which is to say he was voted in. Hard to know from here how much of the case for his place in the pantheon has to do with the hook-check, but as a hook-check enthusiast I’m going to err on the side of a lot. 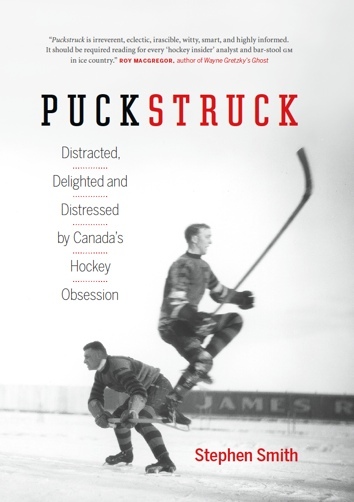 I wrote about the hook-check in my 2014 book Puckstruck— also over here, where I did some explaining about definitions and techniques. While Frank Nighbor is sometimes credited with having been the first to ply it on a regular and efficient basis, it seems clear that Walker was in fact the progenitor, and that when Nighbor joined Port Arthur in 1911, the Pembroke Peach learned if from him. Nighbor said as much himself, later on, sort of, talking about Walker’s poke-check, which is related but different, though they’re often conflated, even by the Hall-of-Famers who used them to best effect. You don’t see much mention of hook-checking in accounts of that earliest Cup, but by 1917, Walker’s name was synonymous with it. Hook check star is an epithet you’ll see in the weeks leading up to the championship series. That came in March, when the NHL’s Montreal Canadiens travelled west to play for all the hockey marbles with a roster that featured Georges Vézina, Harry Mummery, Newsy Lalonde, and Didier Pitre. In purely defensive play, Jack Walker, with his clever hook-check, was [sic] the Seattle’s star. Walker took the puck away from the best stick handlers the Flying Frenchmen could produce as easily [as] taking off his hat and it was his work that spilled most of the offensive hopes of the Canadiens. “Beaten by the Hookcheck,” might be an appropriate title of tonight’s struggle because it was the clever of this bit of hockey strategy combined with sheer speed and aggressiveness that put the Mets on an even basis with the invaders for the Stanley Cup. Jack Walker’s work has been an outstanding feature of the entire series, and Jack was up to all his tricks last night. He kept the hook-checking working with such monotonous regularity that it almost got tiresome, and he finally succeeded in making one of his shots good and broke through for a goal.